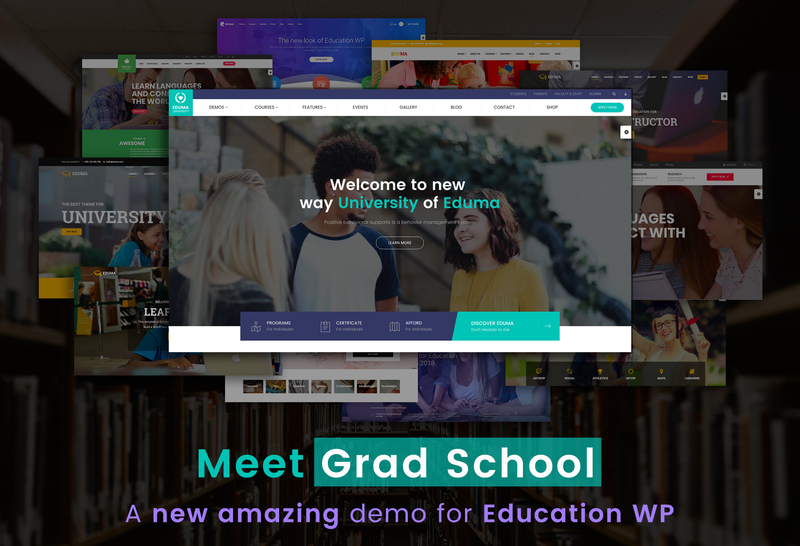 We are pleased to introduce to you our latest and modernest version of our greatest, most amazing education WordPress theme. Get Eduma 3.6 now to possess a great value that the theme brings to you and join big community of 15,000+ users, or update your license at no extra cost. Has released from the end of 2015, Eduma from version 1.0 has been trusted by thousands of WordPress users. The theme is designed to be flexible, high-performance and gives users tons of useful functions and features for education website. The new update of Eduma offers you to expand more functionalities for the theme and but still remains light-weight and fast-loading speed. From the first days, our team always takes care and listens to our customers. Therefore, the new update of Eduma will based on requirements of customers. 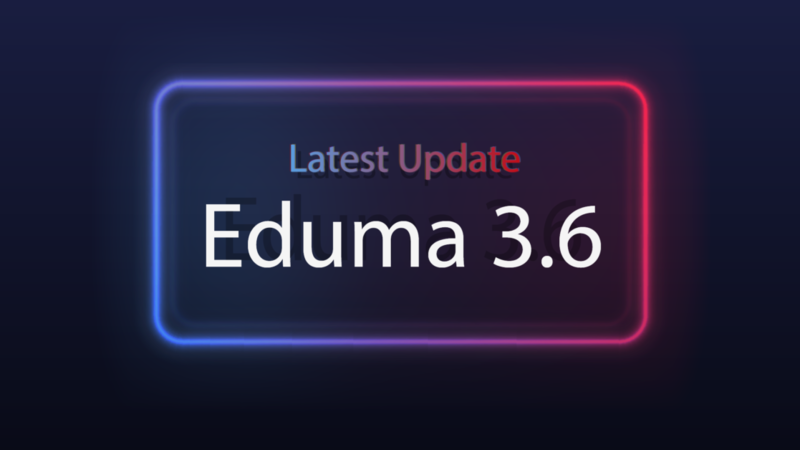 Major updates in Eduma 3.6 include GDPR Ready, the new Breathtaking Page Builder, update for LearnPress and Premium add-ons for LearnPress, the new updates for live demos, the new Multi Languages and improvements in Performance and Speed. Please find out more information by keeping reading below. The GDPR is the recently introduced General Data Protection Regulation and comes into force in the European Union (EU). As of May 25, 2018, this new law will protect data and privacy of EU citizens but also apply to many other countries in many ways. Since most large technology companies are multinational, the GDPR will affect what we use every day. The GDPR was designed to address a long-standing problem in the technology village where many companies are collecting and misusing user information. We all know that since the Internet, many companies are still working in the right way to get as much data as possible. This is not so hard and so these companies have no reason to deny the huge amount of data that is so potentially exploited by the users of their products/services. Give you more clear and detailed information about your collective rights and responsibilities with respect to your privacy and personal information. Make it easier for you to control the information you provide us. You’ll see that our policy explains your choices about this. Opt out. If you have not already opted out of receiving marketing communications from ThimPress and would like to, you can do so at any time. Provide more detail about the measures we have in place to keep your personal information secure. So the day has come and it’s our honor to announce that LearnPress and Eduma are now GDPR compliant. 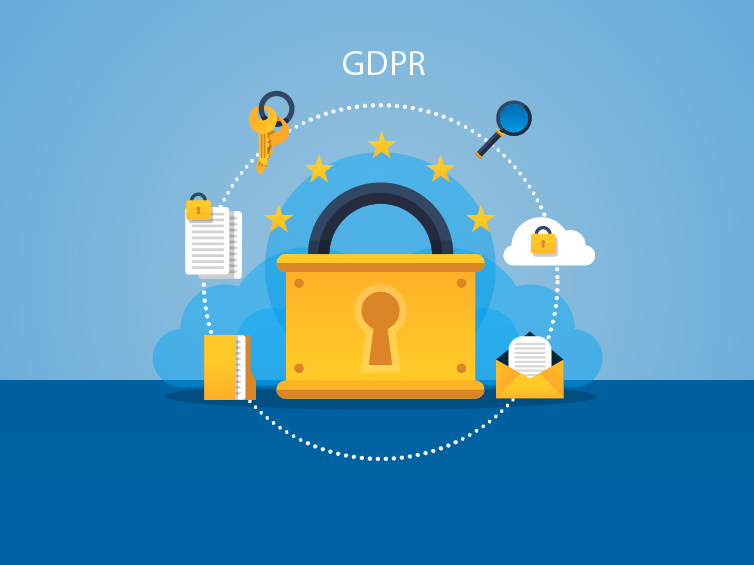 You can check more information about GDPR Ready and LearnPress LMS. Eduma version 3.6 introduces a new amazing Template Builder feature that will show you preview of pre-made elements. This new template will bring you choices of many pre-made elements that can help you to build page in your website. It will no longer annoy you by making you try to add the elements to see how they look like and then delete them if you don’t like. Building pages with Eduma has never been this simple and intuitive. Eduma 3.6 comes with new demos for many kinds of education institutes. With existing templates, they will bring you a set of pre-made templates to choose with your website. It’s your choice to choose any concept which is suitable for your purpose. Brand new demo for School, University, Academy or other Education Business. A demo with layouts for creative/technological school and institutes. Unique and modern designs for School, University and Academy. A beautiful and colorful graphic for School for Children – Kindergarten. 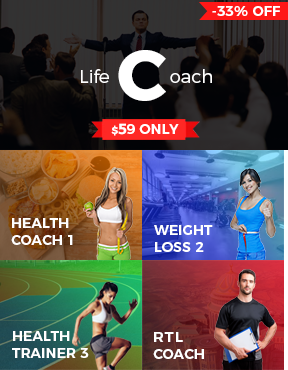 Minimal and effective demo for online courses showcase. Simple and clean design for single instructor website. You do not need to spend much time and effort on translating. Instead of that, it’s your time to do other useful works. Understanding our customers, ThimPress team always wants to bring the best product to the users. Eduma 3.6 has great improvement in Performance & Speed. Users will have stunning website with full functions and features for educational site and clean, beautiful designs and layouts. With Pixel Perfect and Parallax Effect, your website will look more lively and attractive to audience. Besides, the new version of Eduma has optimization in speed which is an important factor to evaluate Google Ranking for your website and help your website load faster. With each purchase for Eduma Theme from ThemeForest, you will get a choice of 6 or 12-month support from ThimPress team. With the support, you will get allowance to access our Help Center for Eduma theme. If the support has expired, you will be no longer be able to access the forum. This is a standard from Envato policy which is compulsory for each seller on Envato. And we hope you will understand this situation for us. Besides, if you find out any technical problem when using our theme, you can still communicate with our Team. The fastest way is extend/renew your support through ThemeForest. Please check this guide on how to do it. However, if you have discovered any issue with your Eduma update, please contact us through our Facebook page or our supporting email address for Eduma users. Last but not least, thank you for taking your time to discover all new features in the latest update of Eduma version 3.6. If you are existing customer why don’t you try with this newest update? If not, let start with this amazing version of Eduma to explore how awesome it is. Besides, if you have any suggestion for new features of Eduma, please do not hesitate to contact us today. We’d love to hear your ideas! All your voice will shape the future of Eduma.